Chris de Burgh in Montreal or Quebec City? Inform me about the next events for Chris de Burgh. Enroll yourself to our priority waiting list for Chris de Burgh to be alerted when new tickets are available. Filling this form doesn't engage you to any purchase. 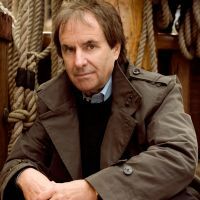 Chris De Burgh is an artist of British ans Irish origin, from an early age he learns to play guitar, it is in University that he plays for his first public at his parents hotel in Ireland. He started his career in 1974 following the Supertramp group for which he made the first part. Yes, the interpreter of the famous song Lady in Red recidivates with a 29th album A Better World with which he tackles several current subjects such as, love, politics, war etc.. and goes on tour. To see Chris de Burgh he will be in Montreal at Salle Wilfrid-Pelletier on September 27th and 28th, 2017 and he will also appear in Quebec at Salle Louis-Fréchette on September 30th 2017.